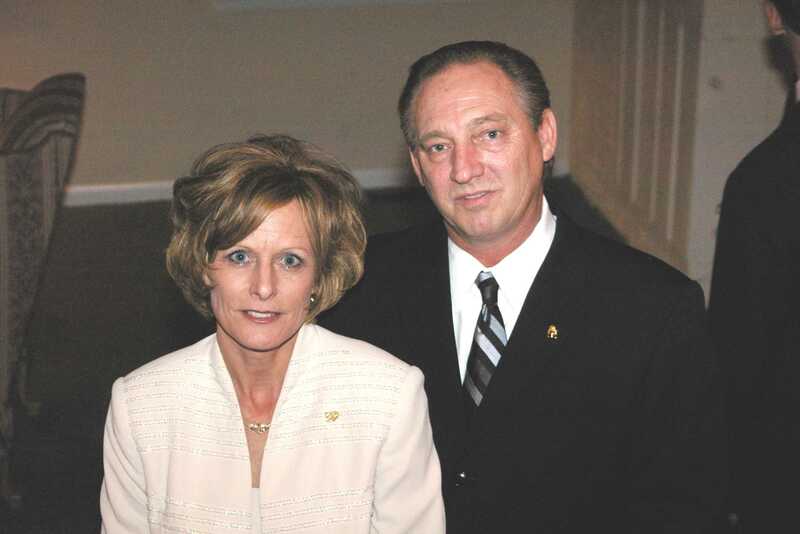 “The money decides,” said Greg Scaturro, maintenance for the Spellmann Center. Before Scaturro closed up the stairs with the fence, he said he glued back some broken bricks and posted caution tape, leaving an open section. Students tore down the caution tape and ran through, stepping on the recently repaired bricks.After multiple attempts to repair the bricks, Scaturro said he decided to close off the whole staircase with the fence because it was too dangerous for everyone to keep climbing the stairs before they were dry. 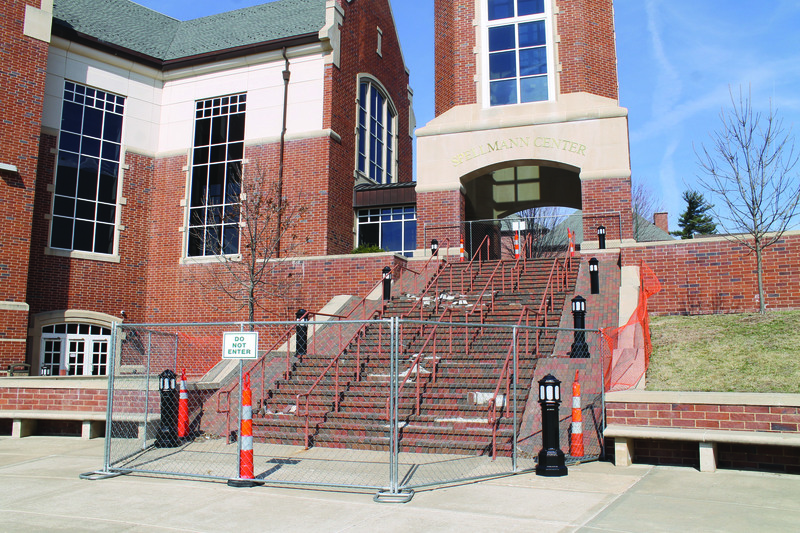 The fence was constructed Feb. 21 to prevent injury to students and faculty climbing the Spellmann Center brick staircase. In the meantime, students and faculty now pass through the Spellmann Center or walk around on another sidewalk in order to go to the upper level. According to Scaturro, fixing the stairs is in the process. For more information, contact Norman at 636 949-4922 or jnorman@lindenwood.edu and ask to speak to Scaturro.